Paintball is a game that originated in America in the early eighties which involves teams or individual players competing against each to eliminate other players by hitting them with paint-filled pellets fired from a compressed gas powered gun, otherwise known as a marker, and complete game objectives. Paintball games are played on indoor or outdoor fields of varying sizes. 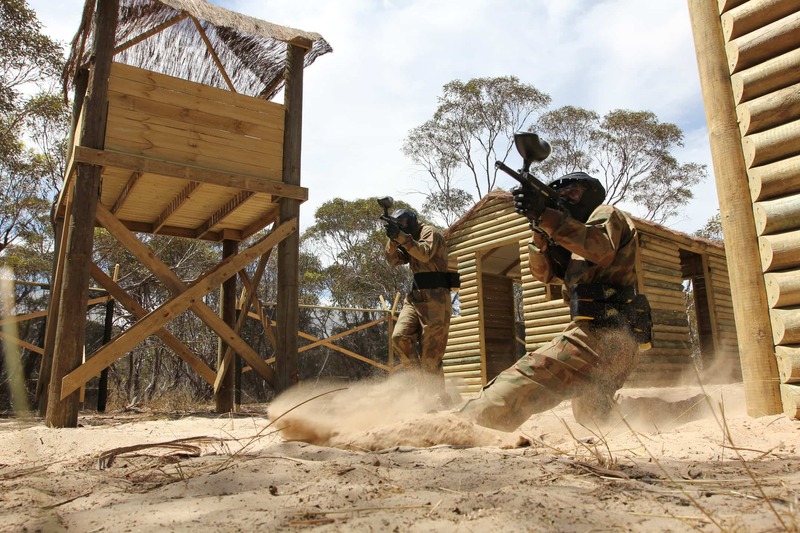 Paintball fields, or game zones, are populated with natural terrain (such as trees, trenches and hills) and artificial obstacles (such as wooden bunkers, barricades and fortresses). Popular game objectives include capture the flag, attack and defend, total annihilation and protect the president amongst many others. Paintball games usually last ten minutes each half but games can go on for hours, or even days depending on the paintball operator. Since Paintball began in the early eighties, it has since been considered by some to be a dangerous sport but this is far from the case. Statistically paintball is safer than Rugby, Football and even Golf! The first rule of paintball, which is always strictly enforced by most reputable paintball providers, is to always wear your goggles when in the game zones. Delta Force Paintball takes this rule extremely seriously and even provides full head protection goggles at every one of our centres to ensure maximum safety and comfort during paintball games. Like any other sport, paintball has its own specialist equipment and accessories. First up, there’s the paintball marker; without this there would be no paintball! Delta Force supplies Inferno Mk. II markers for every one of our customers and these are powered with compressed carbon dioxide although most Delta Force centres are converting their markers to use compressed air, which is more environmentally friendly. For customers that fancy upgrading their firepower, Delta Force Paintball centres offer M16 upgrade guns for only £10 for the day! The most important bit of equipment you will need for paintball is goggles. Delta Force Paintball is the only centre to offer full head protection goggles at every Delta Force Paintball centre in the UK. In over twenty years of operation, Delta Force Paintball has adhered to the strictest safety policies and we are proud to hold a first class safety record. Delta Force Paintball also offers padded ninja suits to keep you clean, a hopper and a battlepack to keep your paintballs safe and and protective body armour free of charge for every one of our customers. Armoured gloves and cricket boxes are also available from our on site shops for a small charge. 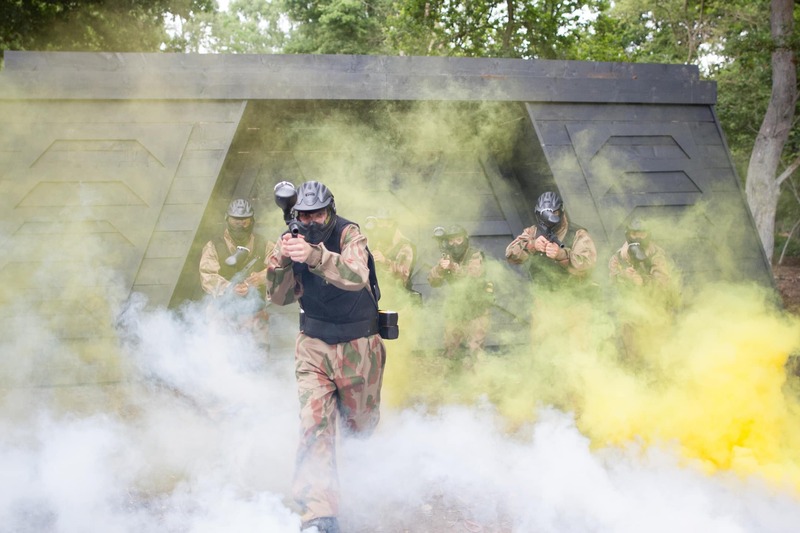 If you would like to learn more about Delta Force Paintball please feel free browse our website, our FAQ’s section or give our booking office a call on 0844 477 5050 and our friendly event coordinators will be able to answer any questions you might have.